Hi everyone (if there are still any of you around)! I have well and truly been MIA for the last month or so, it is always a busy time of year here for me as family and friends descend for annual visits, we are almost in the Cotswolds, so we are very popular with quite a few people ~ lol. I have had my Mother here who was 80 during her visit, we had a day out in Stratford upon Avon and I was 'taken' round Shakespear's birthplace, I am afraid to say that it just isn't my 'thing' and was shocked at how much it cost, £30 odd for the two of us and my Mother got a concession for her age!! Personally, I would have rather given the money to an animal charity, but hey ho it was her Birthday. Right, on to todays 'share', this is a card for a friend who regularly goes caravanning with his wife and Bearded Collies, I thought the little caravan image was perfect. 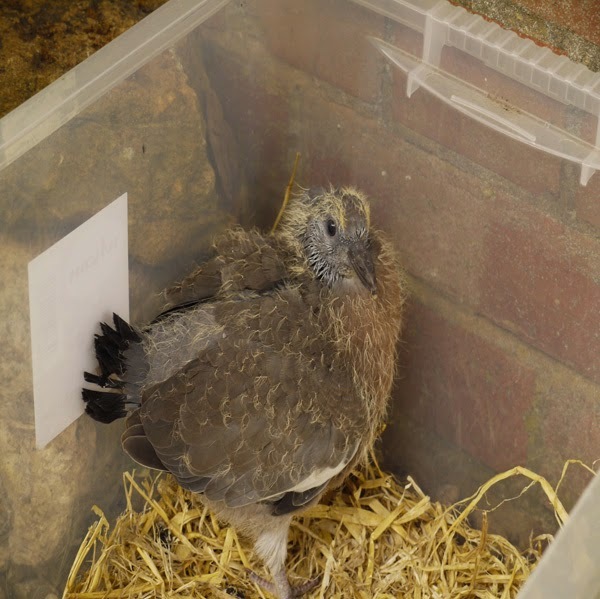 There was another reason why I had not blogged for a while, earlier in the year we found a young wood pigeon in the garden and he was clearly not old enough to look after himself, you never see baby wood pigeons and that is because they are practically fully grown when they leave the nest. This one had obviously fallen from his nest and we think high winds were to blame, so I googled to try and find someone I could talk to and find out what to do. I came across a Wildlife Rescue called 'Little Foxes' who claimed to have knowledge of wood pigeon babies, so I phoned and spoke to a really lovely lady called Penny Little, who happens to be the founder of the rescue and she gave me loads of advice and with this advice and hubby's practical skills in building him a little run we managed to save him. We couldn't return him to the nest, so opted for the run during the day and he was brought in for the night, he was christened Nelson (by Hubby) and was hilarious if you tried to pick him up as he would 'wing slap' you as much to say "get off ~ leave me alone" little did he know we were trying to save his life! He stayed with us for a couple of weeks, until his little wings were strong enough to fly off into some nearby trees and we still see him in the garden. I sent a Thank You card to Penny for all her advice with a picture of Nelson enclosed and the card I made had an image of a Fox on the front. Well, a short time afterwards I received an email off Penny saying how lovely she thought my card was and asking if I would be prepared to make a limited number of cards, around 20, that she could then sell to make money for the charity! I immediately said yes and in return she will put a little advert in her quarterly newsletter that is sent out to all her members for my cards! 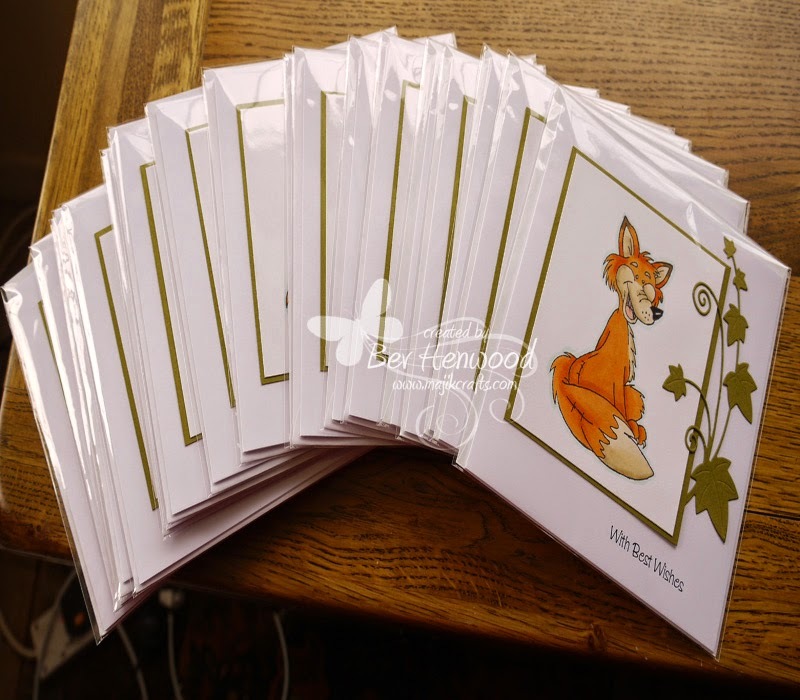 So, fellow bloggers you can imagine what a mammoth task hand colouring 20 Fox images and assembling all the cards was. They were finally posted out yesterday. If you want to know what the image is it is Sugar Nellie's 'Red'. We have an abundance of wood pigeons here and I often wondered why we never see a young one. I never even notice a fledgling. My sister lives near Evesham - you are right, it is a popular place to stop to be able to visit Stratford or the Cotswolds! 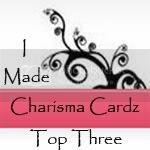 Your card is gorgeous - a fabulous image and I love the banners. The fox looks adorable and I bet you were so pleased once you had finished colouring them. Nice to see you out here in Blogland. 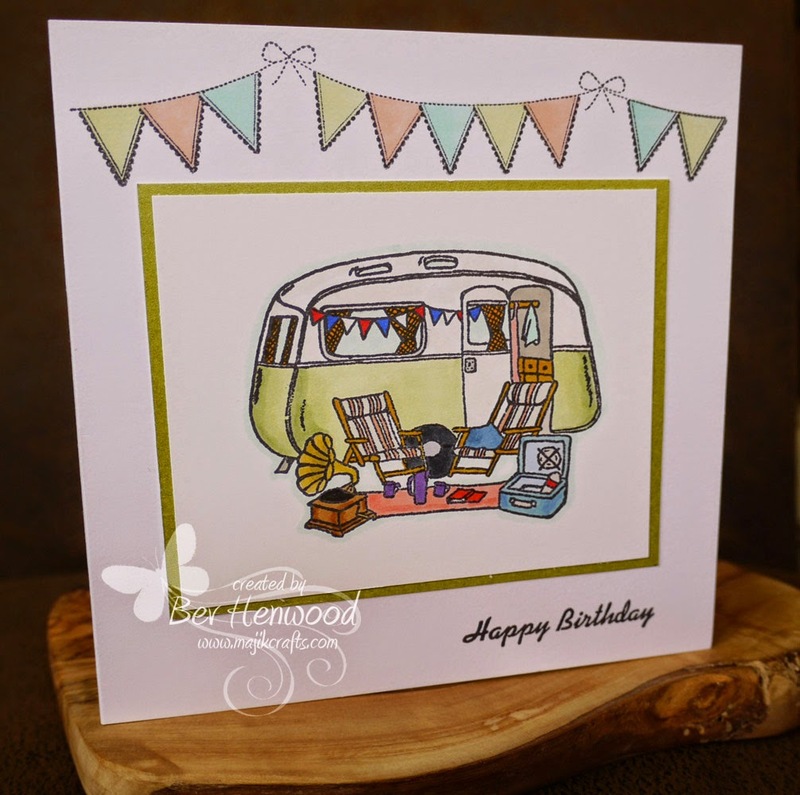 A FABulous card..LOving this little caravan..Looks a bit like the one we first bought for our dog shows! 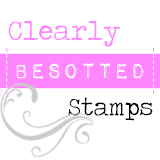 LOve your large batch of cards..A FABulous fun image, LOving your design too. What a fabulous post - I really enjoyed reading it. I shall think of Nelson now every time that wood pigeon sits on my chimney stack .. .. and wakes me up at the crack of dawn!! LOL!!! How lovely to be able to help the charity with your crafting talent.